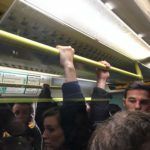 Peter Kyle, Labour MP for Hove, has written to Govia Thameslink Railway chief executive Charles Horton urging him to make sure the rail company puts on enough fully manned trains for Pride. The Brighton and Hove Pride festival draws huge crowds, bringing millions of pounds into the city over the weekend and in the surrounding weeks. Labour’s Hove MP wrote: “Efficient, reliable and comfortable travel will be key to ensuring an enjoyable weekend. ”I have no doubt that you and your team fully understand this and are committed to getting the transport arrangements right over the Pride weekend but I wanted to add my voice and emphasise how important this is for the organisers, for our city and for the thousands of people taking part in Pride. “Please do keep me updated as the weekend approaches and do let me know if there are any issues. 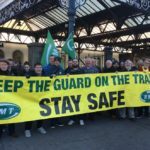 Mr Kyle’s voice is an important one because he co-chairs the All-Party Parliamentary Group on Southern Rail with Conservative MP Sir Nicholas Soames. Mr Kyle and Mr Soames wrote last month to Joanna Whittington, chief executive of the Office of Road and Rail (ORR), emphasising the need for greater investment in the South East rail network. Plans for the future funding of the network are currently under consideration by ORR. 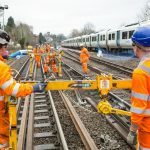 Mr Kyle and Mr Soames’s joint cross-party letter said: “Despite its importance, the service provided on the south east route is not currently able to meet passengers’ expectations due in large part to the years of under-investment that the route has suffered. “For many years, the south east has received disproportionately low levels of investment compared with other regions and in control period 5 (2014 to 2019) the route was allocated just 15 per cent of national railway funding despite carrying almost 30 per cent of all passengers. “Unsurprisingly, performance has suffered severely, and passenger satisfaction is very low. “As MPs for the south east, we see the misery this causes to thousands of our constituents on a daily basis and we are troubled by the damage done to the local economy. Why just for Pride? How about a fully-manned, properly run service, anyway?